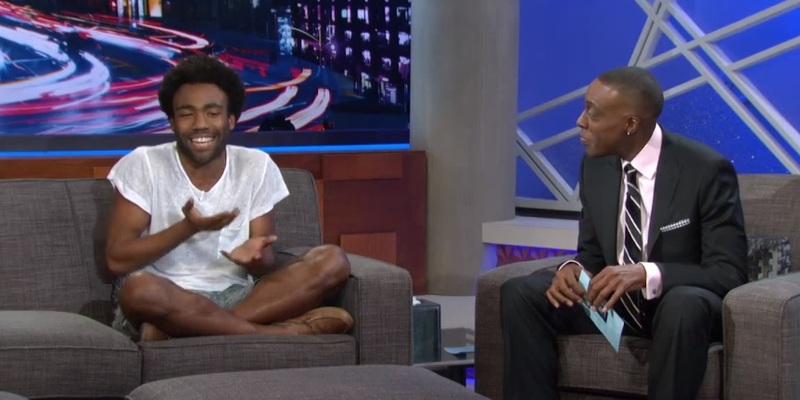 Rapper Childish Gambino sits down for an interview on The Arsenio Hall Show. The two discuss the meaning behind Gambino’s photo he posted on Instagram which contained a Ramada Inn notepad that listed a few things that the rapper was scared of. Interestingly enough, Childish’s list also revealed that he was apparently afraid of becoming Tyrese. Watch as Gambino breaks down exactly what he meant to Arsenio in front of a live studio audience. This entry was posted in Interview, Video and tagged arsenio hall show, because the internet, Childish Gambino, hip hop, Interview, rap, television, tyrese. Bookmark the permalink.